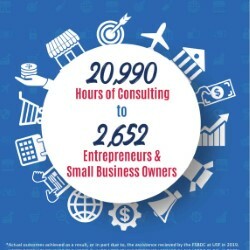 Confidential, no-cost consulting is available to all entrepreneurs who want to grow their business. If you are interested in any of the following opportunities, schedule your appointment with one of our certified consultants today. Our professionally certified business consultants have the knowledge and real-world business experience to help emerging and growing businesses design growth strategies and make better business decisions. Not sure about one-on-one consulting yet? We also provide on-site, low-cost training for those just starting out.